Amandalynne Music has an associate Liz Rosenfield of "In Any Event", band artiste and event management. We have produced a joint promotional CD, although there is a definite need for a further one to include more of Liz's musicians, especially Tom Doughty, lap guitarist who is staging a series of concerts in a new theatre venue in Hartford near Northwich. 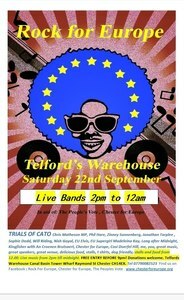 In November Tom will be playing there with the great Woody Mann and I will keep you posted on that in the near future. If you haven't already requested a CD with 17 full tracks from different artist, please contact me. I will be dispatching them between postal strikes.